Vitamin B12 is one of the most valuable vitamins in the Vitamin B complex. It plays an important role in the functioning of the brain and nervous system, production of proteins and red blood cells. Vitamin B12 is a water soluble vitamin and for that reason our body can’t store too much vitamin B12. This is why we have to take care of our vitamin B12 levels. There are several ways to take vitamin B12 - in the form of a pill/tablet, injection, patch or liquid. In this way people who are deficient in vitamin B12 can have their dose of this valuable vitamin. 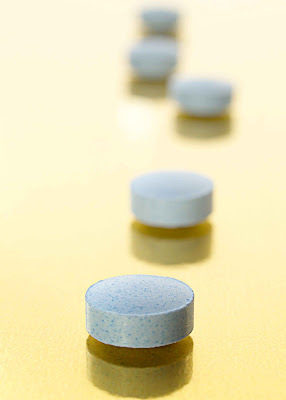 Before you start taking vitamin B12 supplements it is wise to determine the right dose for you. Make sure to talk to your doctor about it and never use vitamin supplements on your own. Also see what type of supplement will be best for you. If you decide to take vitamin B12 shots it is good to know that they work almost immediately. The person may feel sudden burst of energy after the shot. This is one of the reasons why many people decide to use shots instead of pills. However, the price of these shots may make you decide to use pills. You can also decide to use vitamin B12 sublingual and this is probably the best way to ingest it because it melts in the mouth. At the same time it goes in the bloodstream much faster. Vitamin B12 patches are generally given to patients who are severely deficient in vitamin B12. Thanks to the patches the vitamin B12 is absorbed through the skin and they are especially helpful for people who have problems absorbing vitamin B12 through the intestines. All those types of supplements are effective methods to obtain the necessary dose of vitamin B12 and are generally chosen individually. So, choose the type which suits you the best and eliminate any possibility for vitamin B12 deficiency.